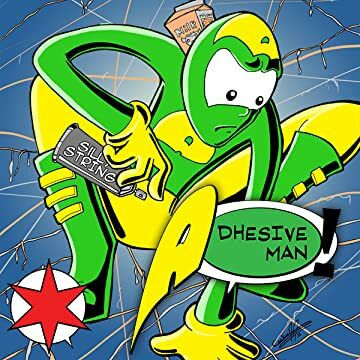 Eric Cockrell's Adhesive Man is a superhero whose powers to stick to anything rarely assist him. 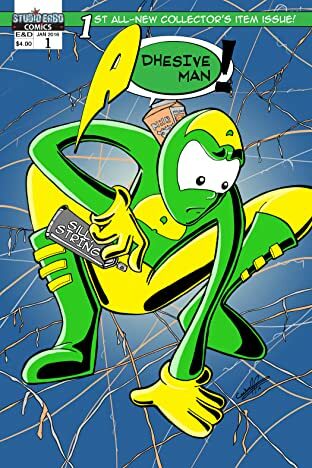 He fights crime along with his sidekick, Wimpy Sidekick. 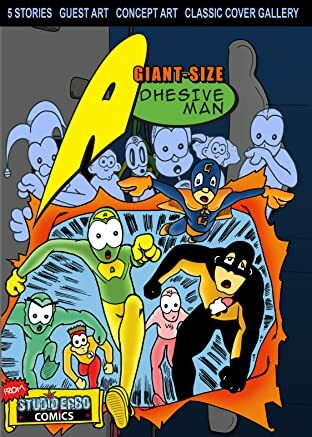 This book collects Adhesive Man's greatest stories, including three adventures that have never been in print before now. 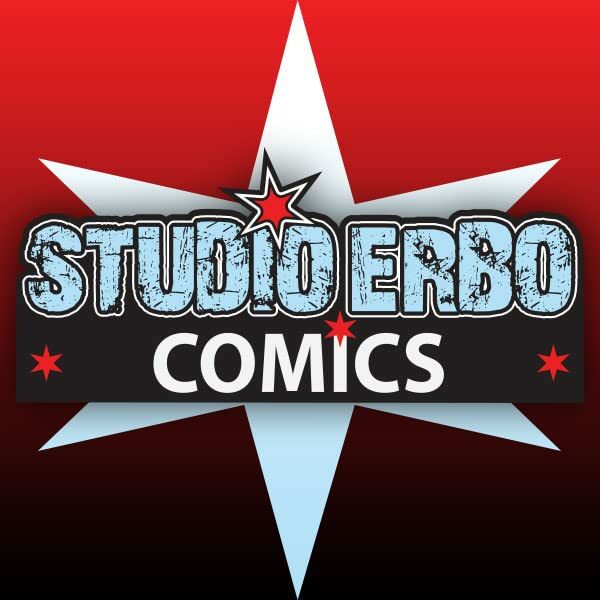 Our Guest Artist gallery features everything from pinups to additional full stories. And for the first time ever learn about the secret history of Adhesive Man in a brilliant book introduction. And on the opposite side of the book you will find loads of concept art and classic drawings. Fans new and old will find something to love about this book!